Selecting an attorney to assist in completing an estate plan or settling an estate can be daunting. There are a number of difficult decisions that require sophisticated legal expertise, sensitivity and diligence. There may be a dozen or more attorneys who offer estate planning services throughout Delaware. Which one to choose? 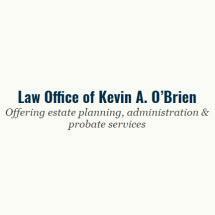 My practice exclusively focuses on helping families plan for the future and administering the estates of their loved ones. Unlike other attorneys, who offer estate planning and administration services as part of a general practice or big firm, I have developed the depth of experience and skill that comes with concentrating on one area of the law for decades. I serve a wide range of clients, some who have amassed considerable wealth and others with more modest means. Many clients come to me with complex family arrangements while others have simpler, more traditional needs. I take pride in confidently serving all of them with equal attention. I have been a member of the Delaware legal community for over 20 years. Over that time, I have developed a reputation for honesty, patience and fairness. Clients rely on my ability to distill complex legal issues in ways that they can understand and counsel them through sensitive matters. I charge clients for my services on a flat-fee basis. Other lawyers charge by the hour and have clients who leave their offices feeling unnerved about the ultimate costs of legal services. I believe that uncertainty breeds dissatisfaction. That is why, after an initial meeting to determine a prospective client's needs, I quote a fee to complete the work that needs to be done. If a prospective client chooses not to proceed, there is no charge for the initial meeting. If a client does ask me to proceed, the client knows exactly how much my services will cost before making a commitment. I charge no additional fees when my clients have additional questions about their estate plans, even years down the road. My office is conveniently located in Greenville Center, with parking, restaurants and shopping surrounding my office. While other law practices are situated in downtown Wilmington near the courthouse, my clients can save themselves the logistical headache and expense of downtown and still receive first rate service. When it comes to getting legal advice, the more directly you can speak with a lawyer, the better the outcome. In my case, I am able to use technology to eliminate the need for clerical staff. Clients feel assured of complete confidentiality and that nuances in their instructions are not lost in passing between lawyer and staff.